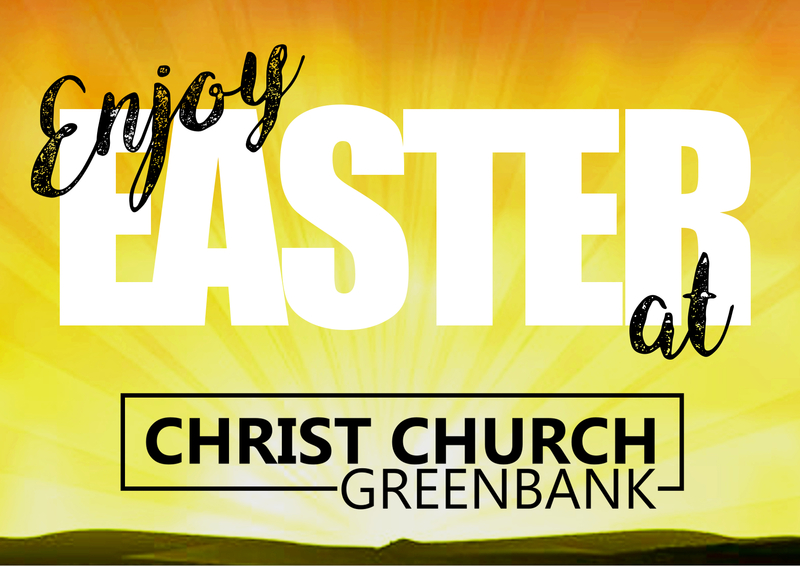 We hope that these pages will help you find out more about the Christian faith, the life of our local church and ways in which you can be involved. 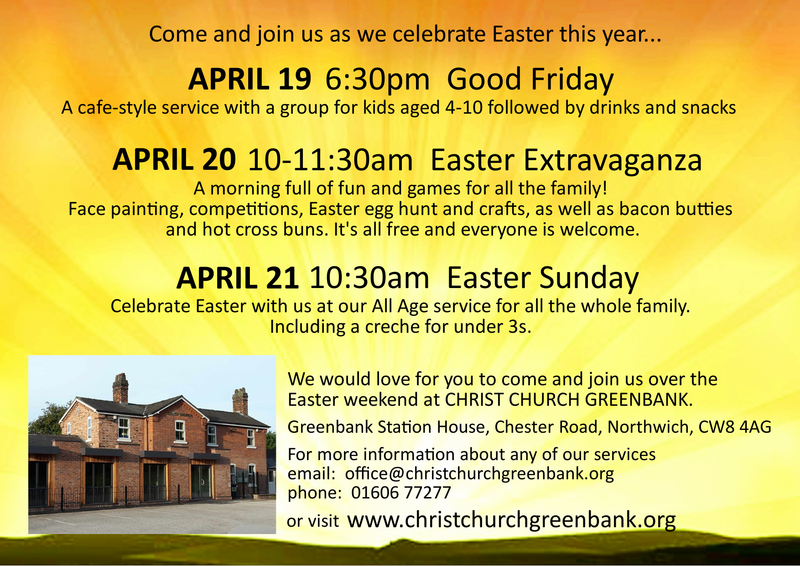 Christ Church Greenbank is an evangelical Christian church, located in the town of Northwich, Cheshire, in the northwest of England. We are an Anglican church, planted by St John’s Hartford in 2002 to reach out to the western end of Northwich. You are very welcome to join us on a Sunday. Our Mission statement is simple - Knowing Christ and Making Christ Known - and that is what we seek to do Sunday by Sunday as we hear from God's Word together. Our 10.30 service normally last about an hour, and contains all of what you might expect from a church service. We sing, pray, and listen to God’s word. There are groups for children and young people aged 3-14 that take place during the service, and a crèche for 0-3 year-olds is always available. Our 4.30pm "café style" service is a little different to normal church. Although we still sing, pray and hear from God’s word, we sit around tables, and tea, coffee and cold drinks are always available. This tends to give this service a relaxed atmosphere. We gather every week as a church to hear from God’s word, to pray, to sing God’s praises, and to encourage one another. If you want to know more about the Christian faith, then coming to church and experiencing the life of the church family is the best way of understanding who Jesus is, and why people follow Him. Website and content copyright © Christ Church Greenbank 2019. Registered Charity 1134217.